The great Charlie Parker — Bird in flight. Years ago now I spent the better part of a summer holiday sketching yet another book project that never reached fruition. 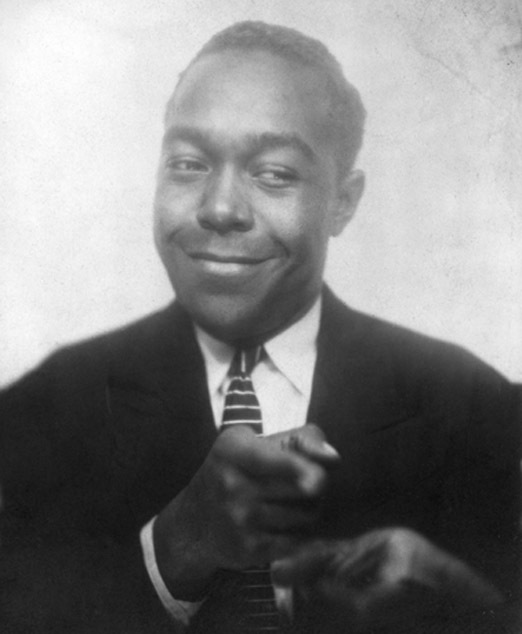 The projected title was Bird Hop : Charlie Parker and American Culture. “Charlie Parker was born in Kansas City, Kansas in 1920. After a short and tormented but stunningly productive life he died in 1955 in New York City, at the suite of the Rothschild heiress Nica de Koenigswarter in what was then the Stanhope Hotel (now known as 995 Fifth Avenue). Robert Altman — a great movie director hard at work even in his old age. “His unique contribution to American popular culture remains a minority taste. But you can still buy virtually all his major recordings and various written-down versions of his music. Clint Eastwood made a controversial 1988 feature film about him (called Bird — Parker’s nickname). A very young Charlie Parker is portrayed briefly in Robert Altman’s 1996 movie, Kansas City. “The early 21st century Internet includes an official website run by the Parker estate, an item about a 32 cent US stamp with Parker’s image, and many other related attractions (including downloadable music files). Considerably larger numbers of people must know and appreciate his music now than at the height of his all-too-brief live career, in the late 1940s and early 1950s. 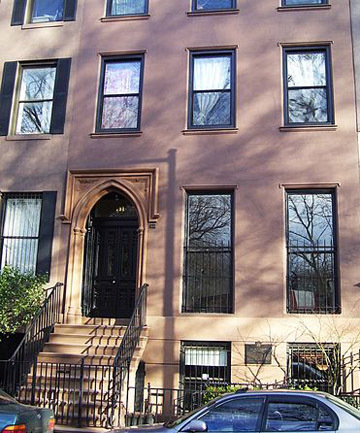 Charlie Parker Residence at 151 Avenue B, across from Tompkins Square Park in the East Village, Manhattan. His last home, with Chan Richardson and family. Designated a New York City landmark in 1999. “My own feeling is that the numbers will continue to grow quietly. 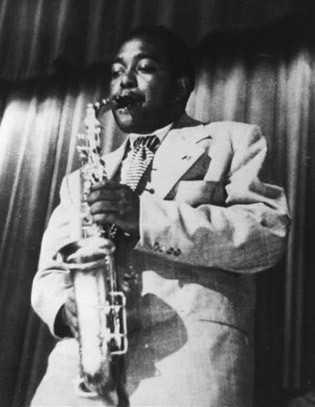 After a long meditation, I have come to the personal conclusion that Charlie Parker is probably the greatest and certainly the most interesting musician that America has yet produced. 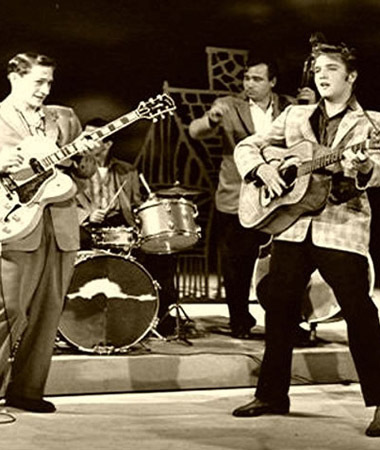 Elvis Presley’s first appearance on The Ed Sullivan Show, September 9, 1956. In fact, of course, rock n’ roll did become the new pop music in the 1950s. (Elvis Presley first appeared on The Ed Sullivan Show in September 1956 — about a year and a half after Charlie Parker died.) It was a simpler but also more energetic and exciting version of the old “Great American Songbook” pop music of the 1920s, 1930s, and 1940s. The bebop jazz that Charlie Parker did so much to pioneer was a more complicated and musically sophisticated but also more energetic and exciting version of the old pop music of the 1920s, 1930s, and 1940s. What both rock and bebop jazz had in common was a great debt to the African American musical tradition of the blues. As some would see things, however, by making the Great American Songbook music more complicated and musically sophisticated, bebop and modern jazz generally were going in exactly the opposite direction to what the mass market wanted. In any case, I was on my way to a noon-hour double concert at the College Park Courtyard in Toronto when I read this headline. The concert featured successive presentations by the local Allison Au and Tara Kannangara groups — which just blew me away. Charlie Parker in a photo booth, Kansas City, 1940. 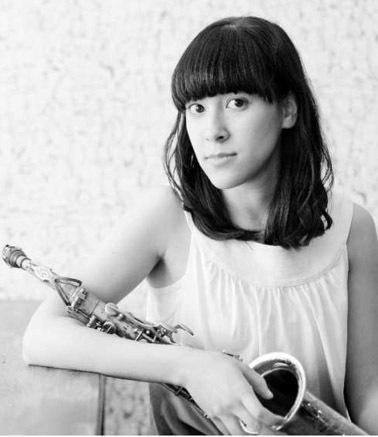 * “Six questions for Allison Au,” PETER HUM, OTTAWA CITIZEN. Published on: August 22, 2014. * Allison Au Quartet on You Tube — “Tumble”. * Review : “Allison Au Quartet: Forest Grove,” By DAVE WAYNE, ALL ABOUT JAZZ. Published: March 26, 2016. 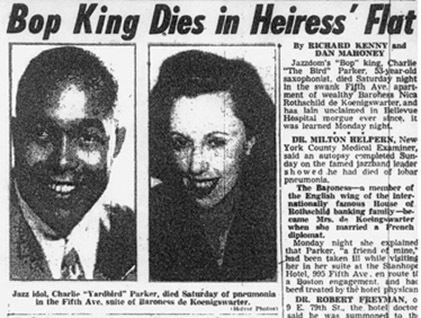 This early newspaper account of his death mistakenly reported Charlie Parker’s age as 53. In fact he was just 35. The article gives the cause of death as "pneumonia." * “Ontario releases you need to hear: Weaves, Minotaurs and Tara Kannangara … Top picks for the week of Mar. 19 on CBC Radio’s In the Key of C … By Amanda Grant, CBC News. Posted Mar 19, 2016 12:03 PM ET. * Tara Kannangara Group on You Tube — “Sound The Alarm”. * “In Montreal with the Tara Kannangara Group,” by Jason Stillman, Contributing Writer, nextbop.com. 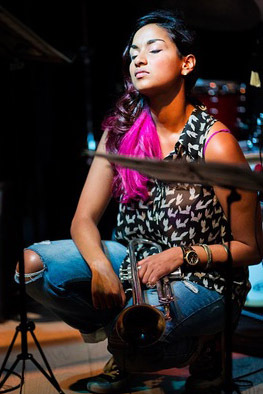 * The TD Edmonton International Jazz Festival presents Tara Kannangara Quintet on June 26 at 2pm and 3:30pm at the Yardbird Suite, 11 Tommy Banks Way. 50 years in Toronto reading the New York Review of Books ..
Will George Clooney go back to Teri Hatcher now?